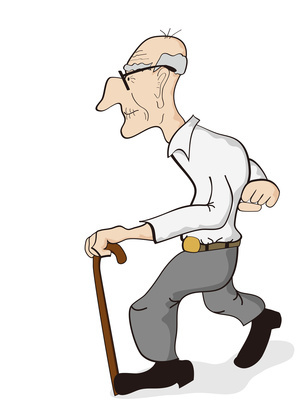 LONG-TERM CARE – Find out what it’s like and do some good. 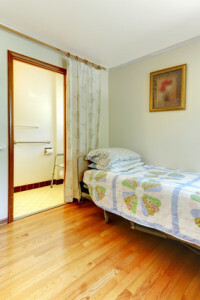 Most old people don’t have a clue about long-term care facilities. They don’t have any idea what they want or where they want to be. They don’t want to think about it. As a result, their children or spouse has to made an ignorant last-minute decision. And, you are the one, who at an old age, with physical and/or mental problems, find yourself stuck in a new and scary environment. Just because you are old doesn’t mean that you can’t find out what long-term care facilities are like. No one wants to look for an assisted living facility or nursing home if they don’t have to. What you should do now is volunteer as an Ombudsman. Every state is required by law to have an Ombudsman program. Basically you as a volunteer are trained and then assigned to one or more facilities which you visit on a regular basis. You talk to the owners, caregivers, family and residents. You provide an official presence, which helps to keep the facilities on their toes. You report any complaints, abuses or problems that the residents have. You may be the only person who visits them. The benefit to you, besides doing something good and worthwhile, is that you get a first-hand look at a variety of places. You learn the level of care; you see the problems; and, you can compare large and small facilities. You are prepared to make a decision. Interested? Check the Ombudsman website for a list of ombudsmen by state and a description of what an ombudsman does. Call them and tell them you want to volunteer. You can be any age, even though most of them seem to be about my age, or older. You can set your own schedule. You are old, not stupid. Take charge of your life. You need to know; and, you need to help. When you end up in the “home,” you want to make friends with your Ombudsman. Polygamy and Seniors? More wives for the geezer??? The New York Times had an article that got me to thinking about old age and the “next frontier:” Polygamy for old people. The article involved a law suit in Las Vegas that approved cohabitation that seems to amount to polygamy; one man, four women and 17 children. Maybe that is the answer to old age. There are many more women over 70 than men. And, it gets “better,” or “worse” as you grow older. However, perhaps we should thing about it for a bit. It would be cheaper. Most of us live in homes too big for us. One home for five people would cut down on housing expenses. There would always be someone to look after you, hopefully. Think of up to 10 children and 30+ grandchildren moving back into the next. Think of the inheritance problems. Hopefully, one of the wives would be young and could still drive. How would you divide up the chores? Could you get a long-term care policy with four wives? Would you have to be licensed as a long-term care facility? What about zoning ordinances for single family residences? Any chance of four marriage licenses? What benefits could you tap? A discount from Meals on Wheels? Anyway, since this is an irreverent guide to aging, I thought I would bring it up as an alternative. Something is going to have to happen with 10,000 people a day turning 65. And, with the next generation not being financially prepared for old age, we might be back to communes, which we all remember. If the 60’s could give us communes; and, if all the flower children are in their 70’s…. One thing about us, is we haven’t forgotten our youth. Imagine Hog Farm for seniors! I need to revisit Llano, New Mexico. It’s been 50 years. My wife is not interested.